Made in the USA. In addition to the Power Carver this system has the Ultra-Quiet air Compressor and the Full Regulation System included with all the hoses and the fittings. 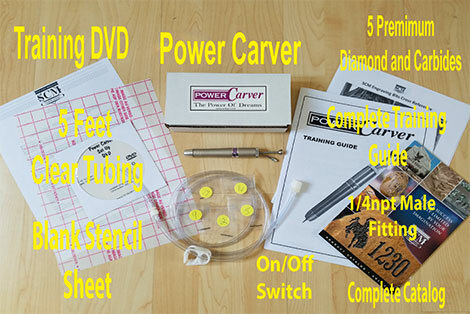 Power Carver: Rated #1 because it’s the ultimate detailing tool. Revolving at 400,000 rpm’s it has the most power and torque. 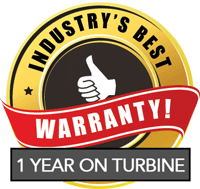 Air compressor and full regulation system included. 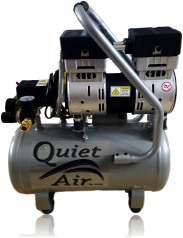 Ultra-Quiet & Oil-Free Air Compressor is designed to be one of the quietest air compressors in the industry having only 60 decibels of sound. 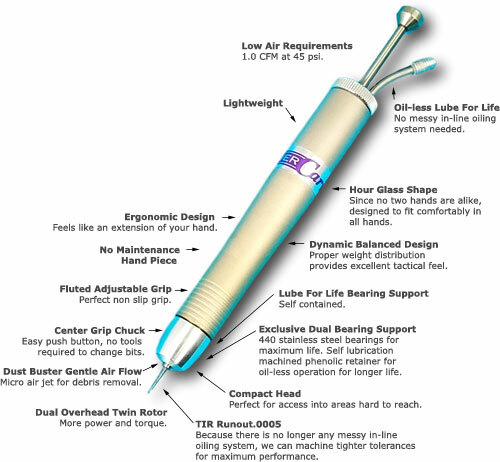 The powerful 1.0 Horse Power (motor operates at only 1680 RPM creating less noise and less wear. 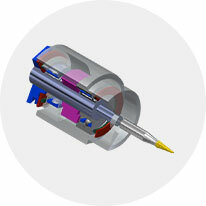 This is the perfect addition to your high speed engraver. Great for depth control. Here is a basket with basket weaving I carved. I could never do this with my slower speed dremel tool. This power carver has so much control, it stays right where I want it to go. Great tool!!! 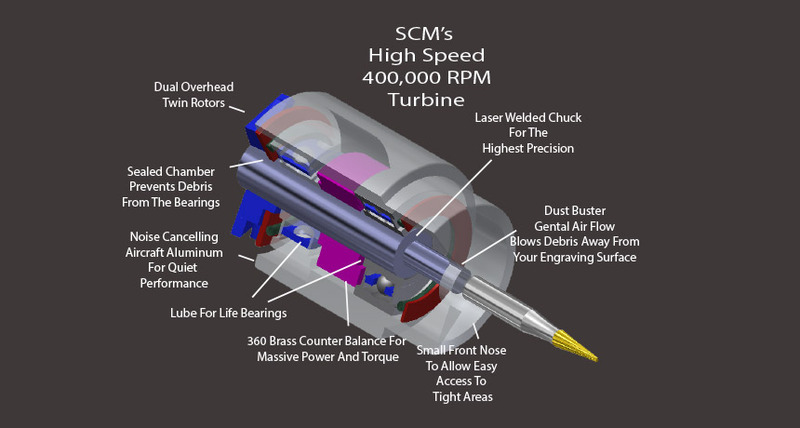 SCM is engraving innovation unboxed! 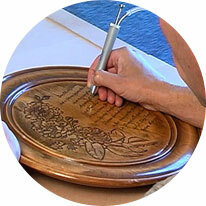 SCM has built an engraver that shatters expectations and has changed the way engravers, artist and non-artist enthusiasts think about creating their detailing on any surface. Every surface now becomes a canvas of their dreams! Combining the benefits of ergonomics into a single machine that adapts itself to your hands. 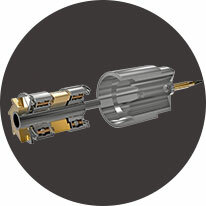 The incredibly powerful 400,000 rpm’s dual bearing twin overhead work horse turbine leaves the competition in the dust. Our unique process allows for machining of tighter tolerance’s giving you the ability for a finer detailing experience.